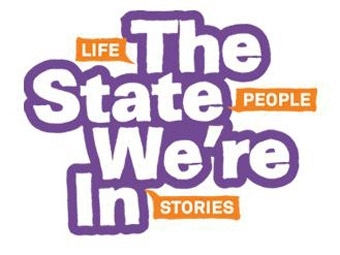 The State We’re In is a weekly radio show produced by Radio Netherlands Worldwide about how we treat each other worldwide. Every week, host Jonathan Groubert talks to people who are personally affected by global issues. The State We’re In discusses everything from high seas piracy and child soldiers, to the right to sleep or be fat. "TSWI" also feature ethical dilemmas about tough choices people make in their lives. This episode chronicles Al Letson’s journey teaching at a summer camp at the Sanctuary on 8th Street, a community center in an economically challenged neighborhood of Jacksonville, Florida. The unpredictable Alec Baldwin hangs out with some pretty cool people.